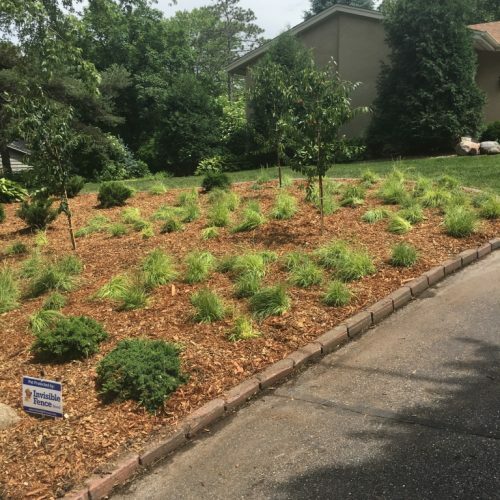 What happens when your yard goes from complete shade to complete sun overnight? 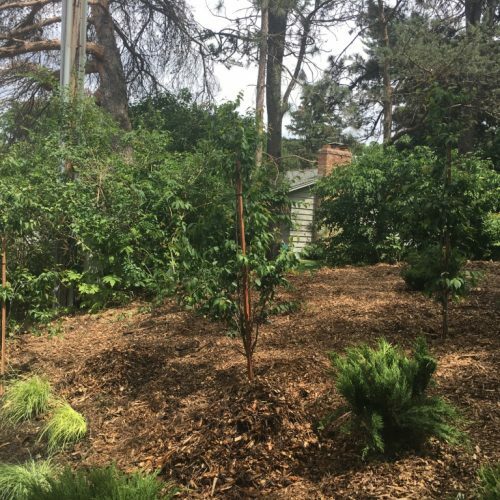 Design opportunity! 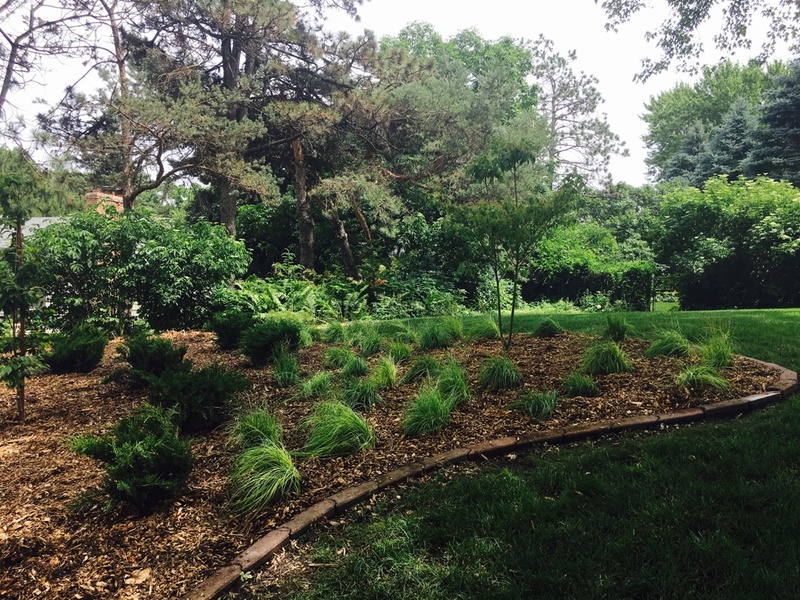 Disease and old age took the lives of the existing Austrian Pines located on site. 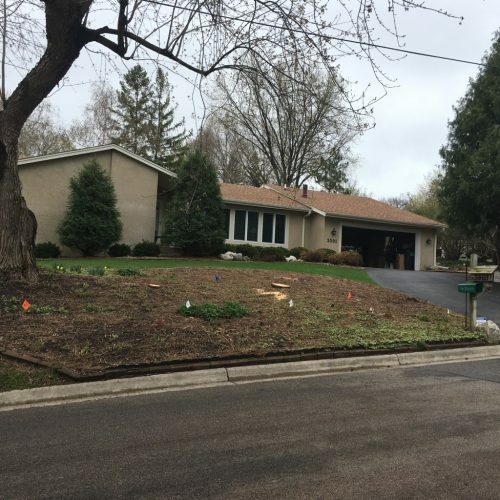 While it was sad to see these beautiful trees and their more traditional shade-loving understory go, their removal provided new and updated opportunities for a more modern approach to landscaping and a more appropriate foreground to the architecture of the house. 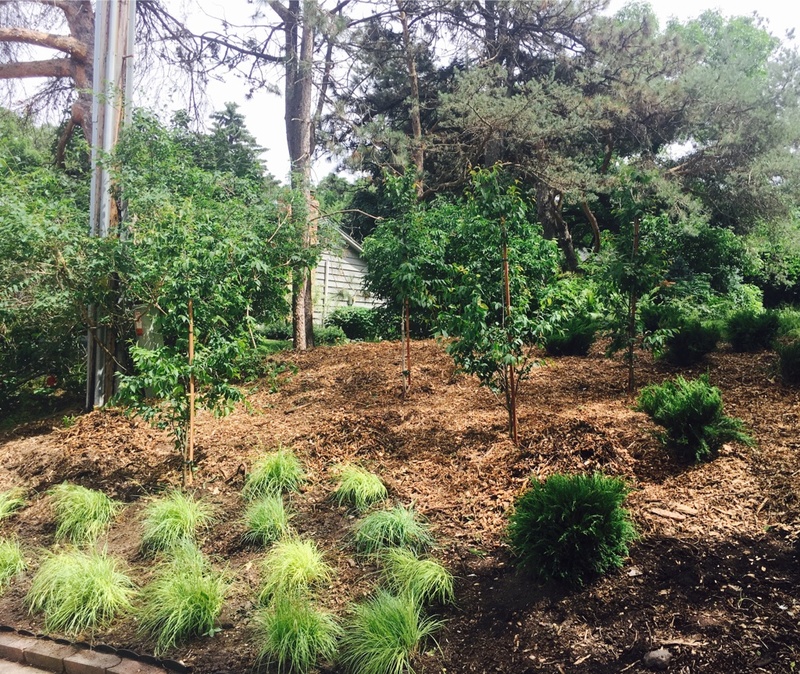 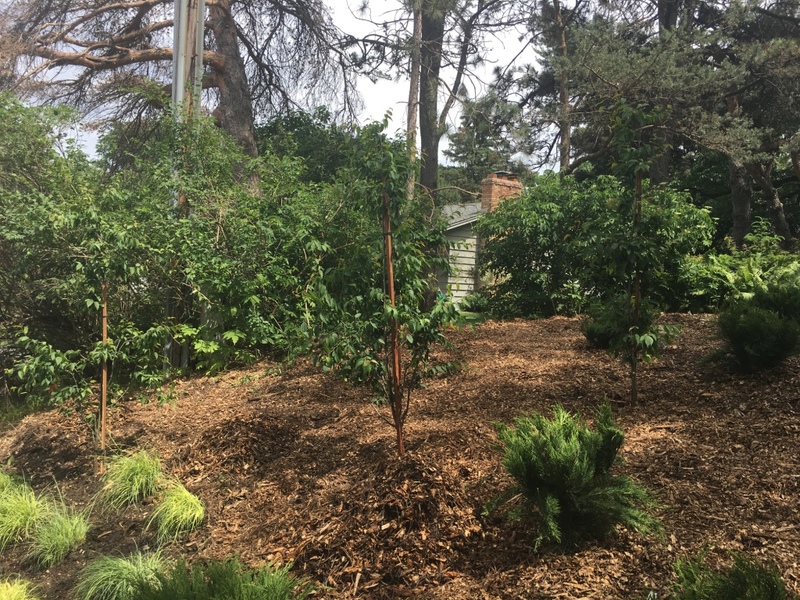 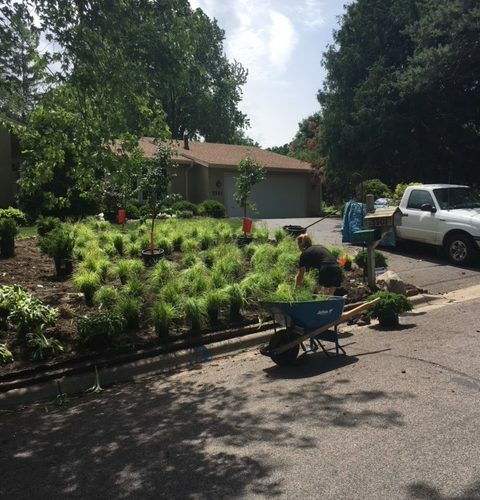 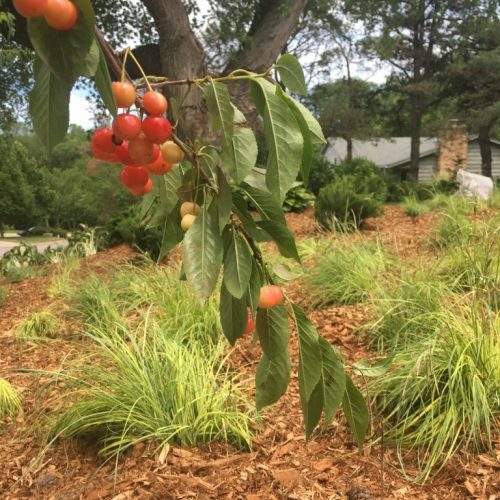 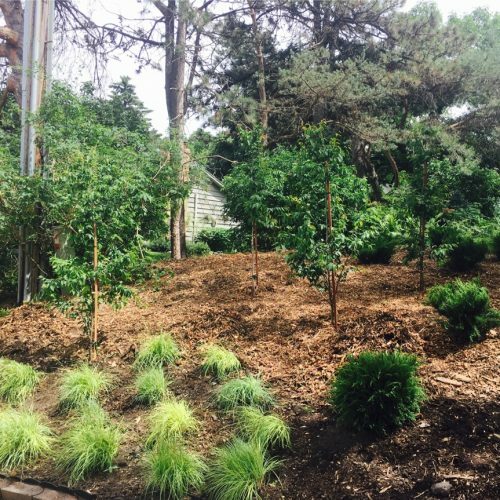 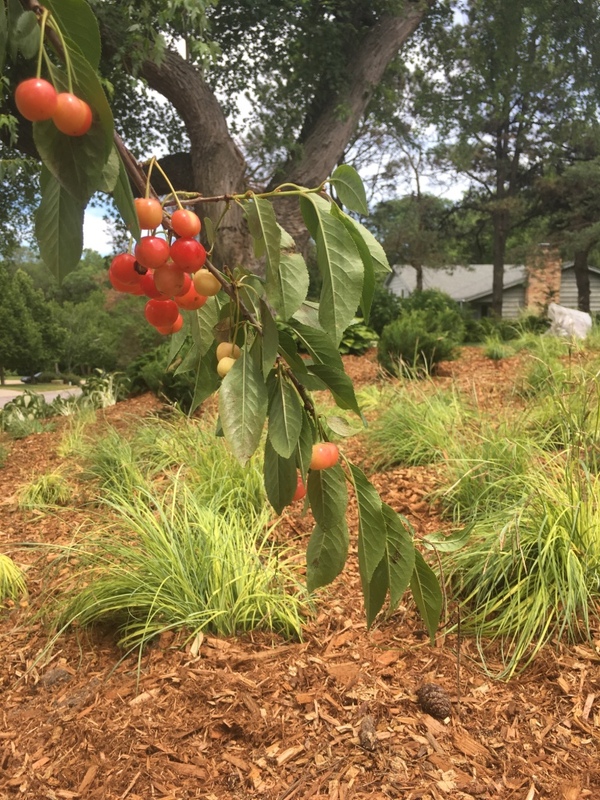 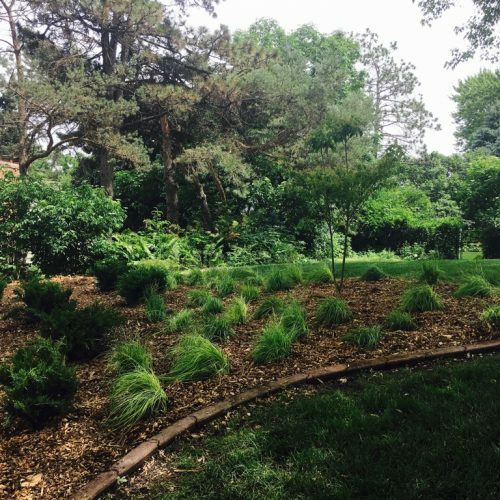 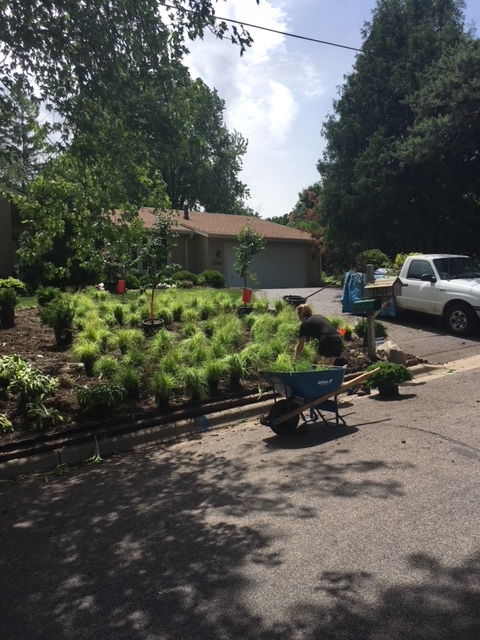 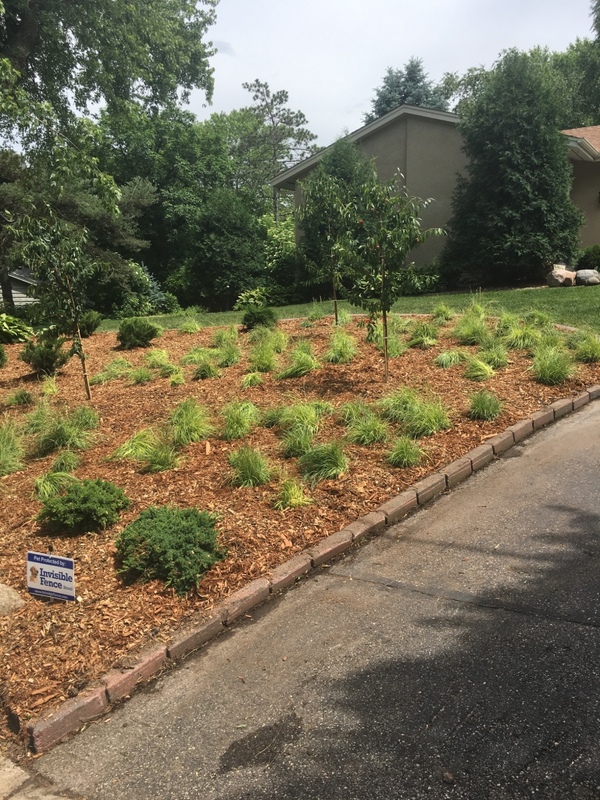 Now the landscape is more simplified with an elegant mini cherry orchard for spring flowering and summer fruit, a hornbeam grove which will provide fall color bliss, and an all season textural understory of sedges and junipers.